Road safety charity the IAM is issuing advice for driving in windy weather as severe gales spread across the country. Plan your journey - is there a route with less exposure to the weather and less risk of fallen trees? Choose a sheltered route if you have the option. Give cyclists, motorcyclists, lorries and buses more room than usual. They get blown around by side winds easily. 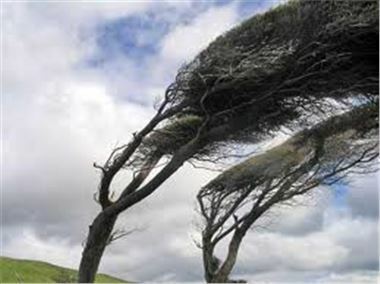 Watch trees and bushes on the roadside - their branches show you how strong the wind is. Look well ahead, that way you don't need to take your eye off the road and you can see any windy patches before you get to them. Keep an eye on what is happening to other vehicles - where they are affected will give you a pre warning. Keep extra distance between you and the car in front. IAM chief examiner Peter Rodger said: "I have seen a parked car moved by the wind. Don't underestimate how powerful it is and how it can affect you whilst in the car." To help drivers stay safe this winter, the IAM has launched a new website, drivingadvice.org.uk, with traffic updates, weather forecasts and tips on how to drive safely in winter. Tips cover rain, snow, ice, fog and wind - everything you can expect in a typically unpredictable British winter. Check it out before you travel.